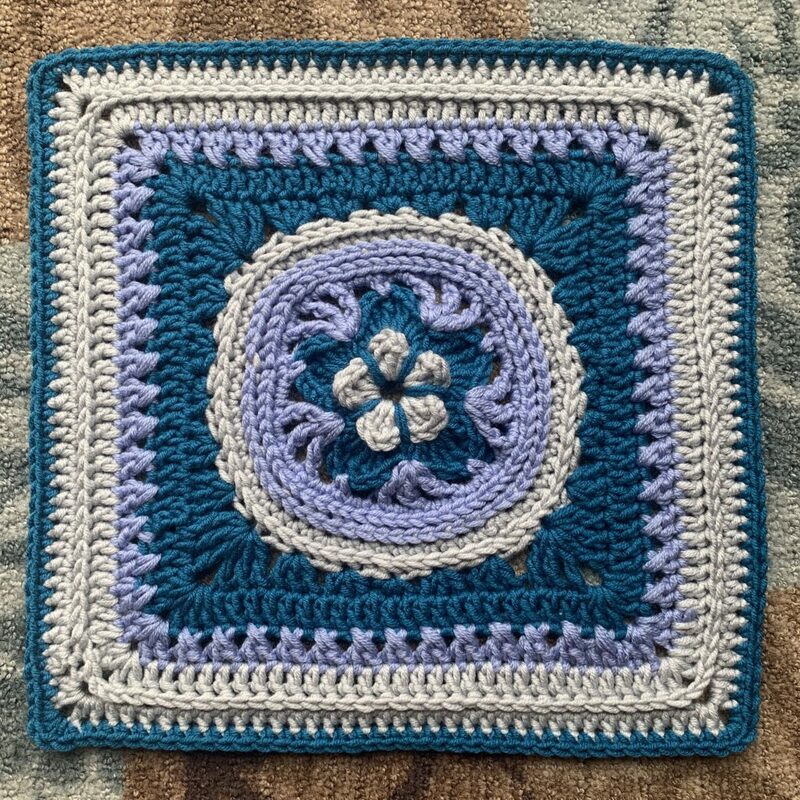 Welcome to Week 15 of our 2019 Block of the Week Crochet Along. Don’t forget to join in chatting and sharing photos on my Ravelry board and my Facebook Crochet-A-Long group . Feel free to jump in any time. Please use hashtags #BAWJ2019 and #crochetalongwithJulieanny. This week I have the pleasure of featuring a design by a very experienced and prolific crochet designer, Mary Beth Temple of Hooked for Life Publishing. Mary Beth has over 350 published designs and joins us this week with a new square she designed just for our CAL, called Lemon Zinger Afghan Square. It is a pretty floral with some interesting techniques and will make a lovely addition to our blanket. Mary Beth has designed such standouts as One Step at a Time Shawl and Halstead, and has written numerous books and magazine articles about our craft.